Watch the world unfold. 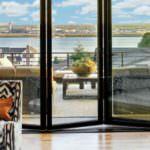 The effortlessly slim folding sliding door from Arkay Windows. 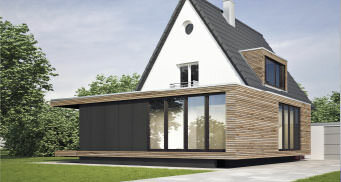 With just a 120mm, glass-to-glass sightline, the UniFOLD will open up your room to the light and bring the outside in. Creating a functional, open space for living, working and entertaining. 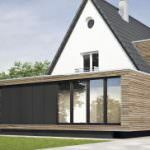 The UniFOLD is a market leading design that is bespoke designed to give maximum carry capacity whilst offering ultra slim sightlines and large glazing panels with less frame. 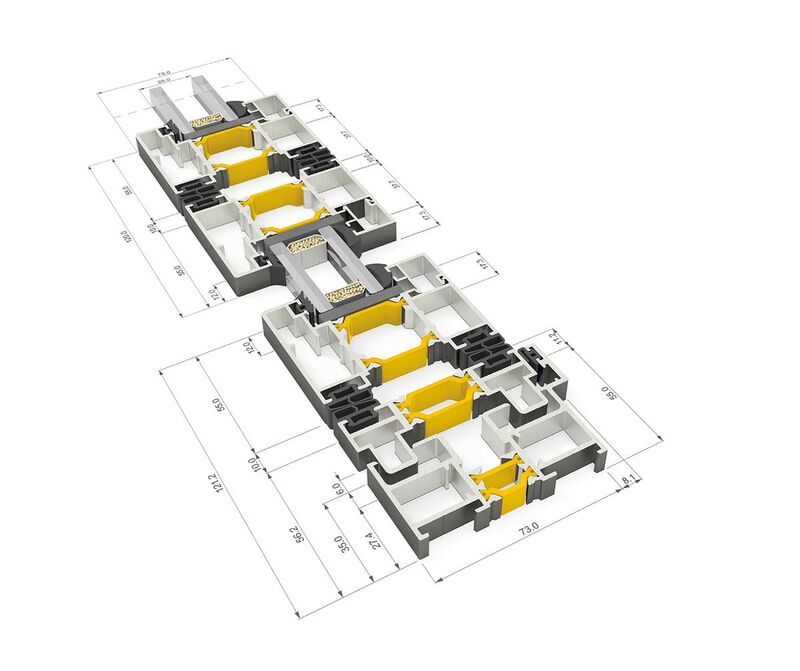 Easily assembled with your choice of opening and closing configurations whether you want the doors to open outwards on inwards to best suit the space around them. The sash and outer frame offers exceptional thermal efficiency, providing high performance and stunning aesthetics. With the ability to tailor the doors to the project it is required for, the UniFOLD is a unique solution that stands out from other bi-fold door designs currently on the market. Exuding elegance and flair, these aluminium folding sliding doors are easy to operate and add kerb appeal to any property they are installed into, becoming a focal feature as well as useful piece of functionality for opening up a room. The folding element of these sliding doors means that they are compact and don’t take up too much floor space. Neatly stacking to the side in a concertina, they operate in a smooth sliding movement which is noiseless and easy to use. Use our virtual tour of our showroom to take a look at the products and samples we have available for you to peruse. With a large range to preview, you can get an idea of the products and services you require for your latest project. Here you can see how the UniFOLD performs, with an easy operating system that glides open and closed with minimal hassle. The quality of these aluminium folding sliding doors is unrivalled on the market and benefits from high performance functionality as well as stunning aesthetics. Choosing the UniFold door adds sophistication and quality to a property, with a range of choices and options to tailor them to your needs. Depending on your specifications and requirements, you can select dual colours so that your folding sliding doors perfectly complement the décor and choose from a range of special finishes. We know that security is a priority for any project and our doors have concealed shoot bolt locking with a single point handle that delivers peace of mind. There is also the option to have key locking if preferred. You can also opt for colour matched handles and magnetic door holders with a range of possibilities to choose from. 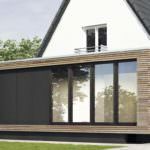 There is a long list of configuration options so that you can decide exactly how the folding sliding doors open, close and operate. This gives you more flexibility in terms of the space they are being installed into and what their main purpose is. 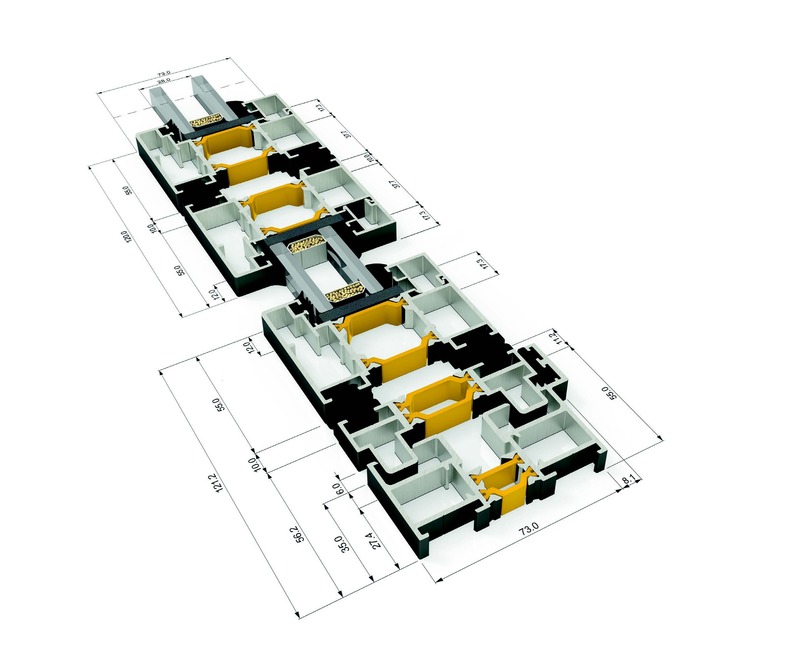 Whether you choose to have the doors open to stack inwards or outwards, you can select the most suitable configuration. The ultra-smooth bottom running means that the doors are noiseless when in operation, making them simple and easy to use, with safety features inbuilt as standard. Our UniFold doors are document Q compliant, including PAS24 and BS6375 Part 1 weather testing. Take a look at our product brochures including the UniFOLD folding sliding door. Here you’ll find images and technical specifications for your project. If you have any questions, simply get in touch and a member of our team can answer any queries you may have. The UniFold is a highly sought after folding sliding door due its versatility. Make a room multipurpose by adding these aluminium folding doors to open up an entire wall to add a seamless connection between the inside and outdoors. A dining room can become an alfresco experience with the doors open wide, or a living area can become a never ending playground for a young family. There are a number of options and a range of purposes the folding doors can provide to a property. Adding aluminium folding doors to a property will allow for increased natural light and unobstructed views of the outside. This is beneficial all year round, with the doors open in the warmer months you can enjoy the feel of a more spacious room with cohesion between the interior and exterior. In the cooler months you can close your doors and still enjoy scenic views of the outdoors and watch the seasons change from the comfort of your home. The UniFOLD door adds an inviting appeal to a building whether it is residential or commercial. For commercial properties such as shop fronts, the doors sliding and fold neatly to the side in a compact concertina. This is especially useful for restaurants or cafes that have an outside seating area, patio or decking for their customers to enjoy. The folding doors allow for easy access in and out of the building. A large benefit of our aluminium folding sliding doors is that they provide excellent thermal efficiency, particularly in the winter months. Trapping warm air inside the property, your carbon emissions decrease and helps a building be more eco-friendly. The UniFOLD door delivers on performance and functionality as well as beauty in design and aesthetic. You can contact us today for a free quote for your bespoke folding sliding door needs. 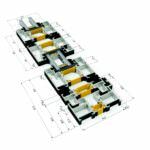 Whether you’re looking for the UniFOLD system to be implemented into a residential or commercial project, we can assist. Simply visit our contact page and fill out our online contact form. A member of our expert team will be able to answer any questions you may have. We are happy to recommend or advise on the most suitable products for your needs and requirements. Are the folding and sliding doors easy to open and close? The UniFOLD door is exceptionally easy to open and close with a smooth and noiseless gliding functionality that is simple to operate. The track makes it easier to open and close the folding doors as and when you need them, with a number of threshold options based on your individual project requirements and specifications. What options are there in terms of customisation? 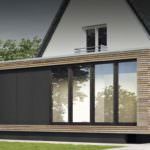 You can select the number of panels, the height and width, threshold level, opening and closing configurations, colour and finish, hardware, accessories and more. This is a truly unique folding door solution that is bespoke made to your project and is created specifically to suit your needs. What advantages does a sliding folding door over a traditional sliding door? The sliding fold door creates a focal point in a room that is quite the spectacle. As well as offering an attractive aesthetic, the functionality is what sets them apart from the traditional sliding door. Opening into a concertina and stacking neatly to one side, they are a popular choice among architects and developers looking to add something striking, secure and high performance.